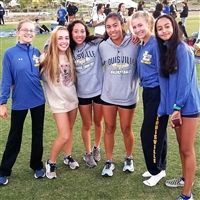 At an all-girls school, female athletes are always in the spotlight, and receive top media focus. 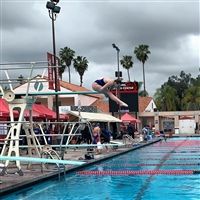 Louisville has a proud athletic tradition of consistently fielding winning teams coached by champions and professionals in their sports, including an Olympic athlete and national team members. Louisville Supports 21 Teams In 14 Sports. Self-discipline and sportsmanship are cultivated in all programs, and students learn to successfully combine academics with athletics. Louisville’s talented athletes have won numerous championships and titles. Each year students go on to represent Louisville in the NCAA. 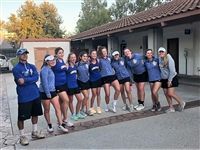 Congratulation to the varsity tennis team who defeated Flintridge Sacred Heart yesterday with a score of 13-5. Senior, Danni Baghdaian, swept singles by scores of 6-1, 6-2, 6-0. Westlake Village, Calif. – The Louisville Royals Golf Team defeated the Marymount Sailors yesterday 225-237. Match medalist, Justine Chou ‘19, shot her lowest round of the season (36) and made two birdies. Sophomore, Brianna Reid, shot her best score of the season thus far, by ten strokes. Freshman, Ava Browne, shot her best score with a clutch birdie on the ninth hole. Sophomore, Charlotte Napolitano, shot a 58 and freshman Cassidy Serino tied her best score with a 45.